Teachers are present on campus from 7:15am - 3:30pm, Monday through Friday and are available to meet with students both before and after school. Students are highly encouraged to consult with their teachers during official office hours and to meet with them regularly for additional assistance. Parent/Teacher meetings can be scheduled for this time. as well. Tutoring is also provided by National Honor Society students on campus after school. NHS is the nation's premier organization established to recognize outstanding high school students. Here at NDP we create an enthusiasm for scholarship, stimulate a desire to render service, promote worthy leadership and encourage the development of character in students. 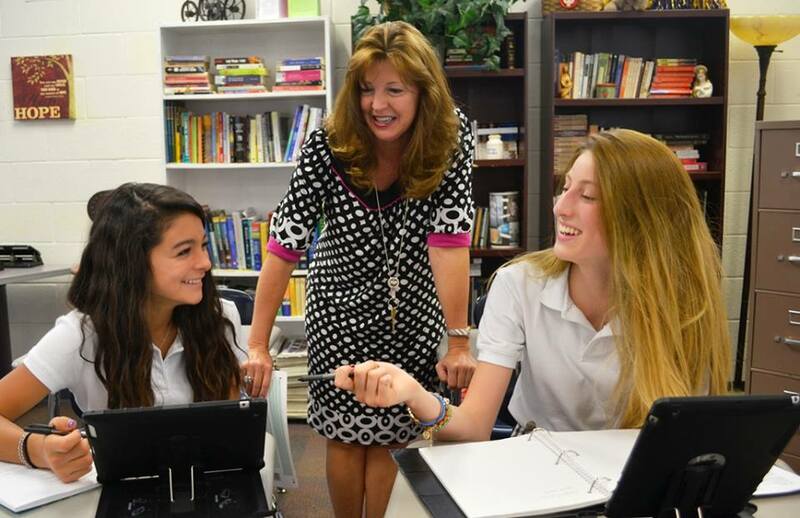 An academic support program for incoming students, the program assists those who demonstrate academic potential and a desire to learn, but need support to navigate NDP’s college preparatory curriculum successfully. The program will include an increased focus on English and mathematics. The program includes a six-week summer classroom experience designed to prepare students for the challenge of NDP’s course of study. The Academic Center for Excellence is a unique pathway extending the supports provided through the St. Aloysius Gonzaga program. Students who demonstrate a need for accommodations to support learning differences are afforded the opportunity to have a study hall where tutoring with teachers is available. We hold two parent-teacher conference nights on campus each year. Students are encouraged to accompany their parents to the conferences.